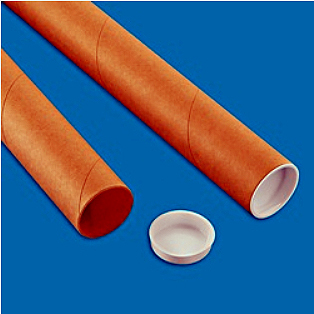 These heavy duty Kraft Tubes come with end caps so you can fill them with goodies to make your own "rain stick" for your parrots. Another fun, foraging toy that you can let your imagine go crazy with. Suggestions include putting clean pre-loved toy parts that still have good chewing left ... or add other wooden parts and/or porcupine balls, etc.! We put whole nuts inside, shredded paper, coconut fiber, ParroTraps, Just Fruit and/or Just Veggies. Go crazy, use your imagination ... your parrot will love you for it!